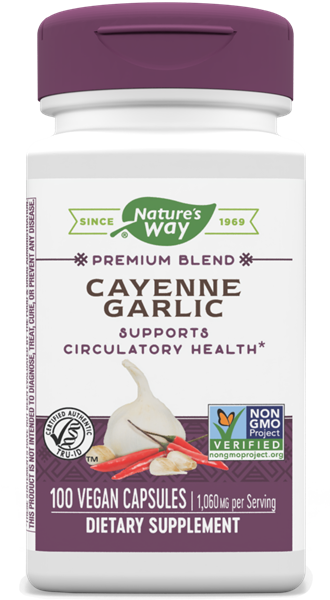 Cayenne-Garlic / 100 Caps - Nature's Way®. Do not use this product if you have a bleeding disorder, are taking blood thinning medication, or are within a week of any surgical procedure. Excessive doses may cause GI irritation in sensitive individuals. If you suffer from heartburn, hiatal hernia, gastritis, peptic ulcer disease, or if pregnant, nursing, or taking any medications, consult a healthcare professional before use.